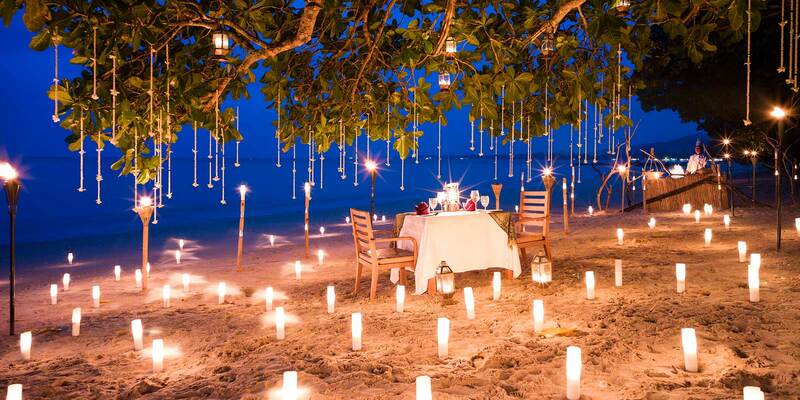 Whether it’s a romantic candlelit dinner next to a jungle waterfall or on a private sand isle, a gourmet picnic breakfast on a secluded white sand beach, or a private dinner in a pool island pavilion or in your own sala, we’ll make it happen for you. Outside or inside, on the beach, in the jungle, in the gardens – you choose the place, the time, the menu – we’ll do the rest and set your table. 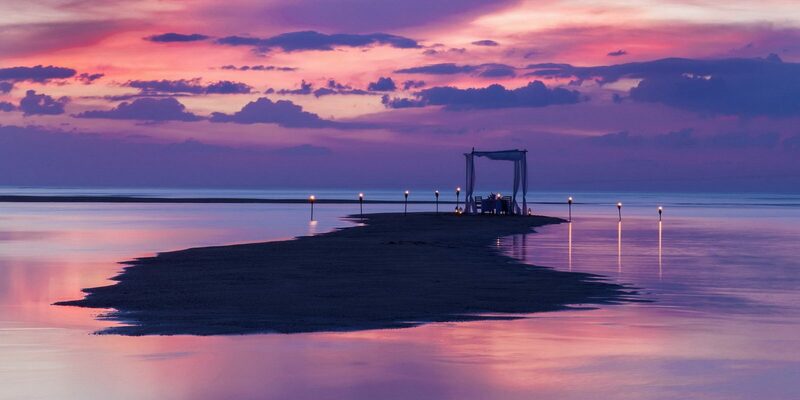 We’ll whisk you away on the Lady Sarojin private yacht and “shipwreck” you on a secluded sand isle, where a magical evening dining beneath the stars awaits - all against a truly breathtaking backdrop. Flames dance, stars glow and bare feet sink in the sand as you are guided to your own private bbq dining setting on the beach, your own private seaview. 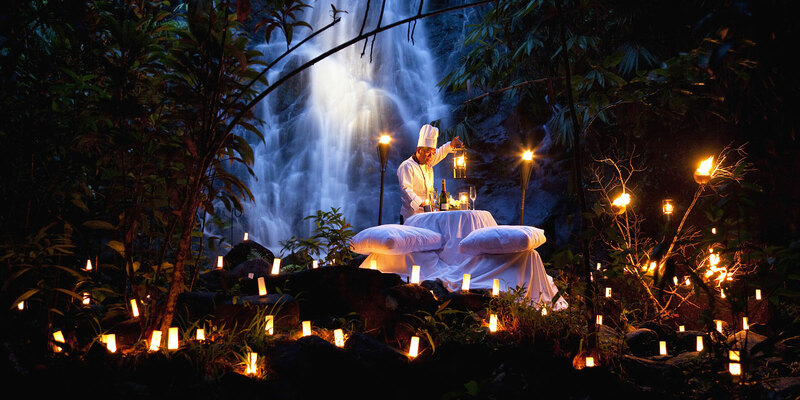 Your chef awaits to serve dishes demonstration style as per your wish, leaving you to relive your ultimate day. Just to be there to relax in the gardens, the aquamarine pool shimmering and so inviting, the sound of nature, the cooling breeze in the trees, the moonlight and stars. Romantic, candlelit, intimate and private dinners on the pool pavilion, birthdays, older family get togethers, special friends, anniversaries, engagement proposals, honeymoon dining, midnight swimming. 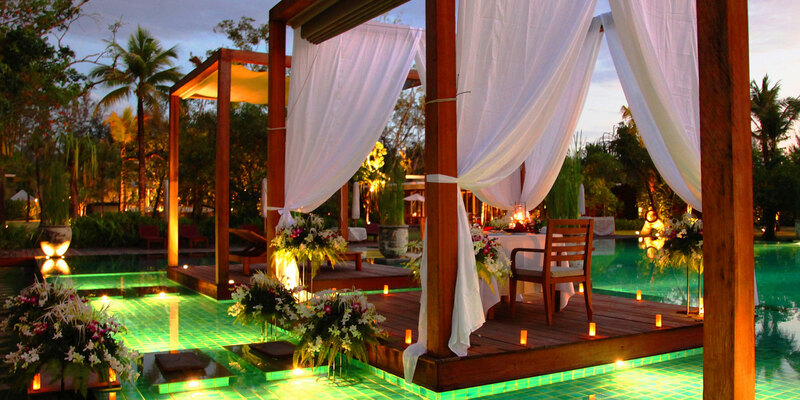 Only the middle pool pavilion is set for dinner to ensure maximum privacy. Some of the most memorable travels can be simply roaming around and exploring the local areas. Choose what you want and when and allow us to pack you a picnic for your adventure. Now to decide where to go…a walk on the beach, a bike ride to a waterfall, canoe to the cape, take a sailing boat out…. it really is an adventure of your choice.